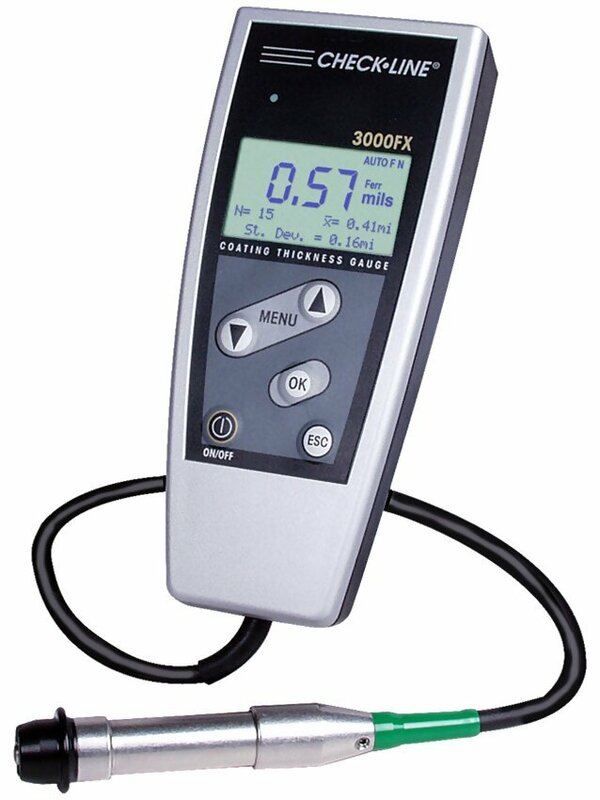 The 3000FX Coating Thickness Gauge is a multifunctional fully menu driven gauge for fast, professional and precise coating thickness measurement for varnish, paint and electroplated coatings on iron/steel and varnish, paint and anodising coatings on non-ferrous metals and on austenitic stainless steels. All external probes are machined to ultra-high standards and utilize a unique, hard-metal probe tip which prevents probe wear. A v-notched footer provides a stable footing on small cylindrical parts, which can be removed to expose a "micro-probe" sensor perfect to measure on small surfaces and parts.